This autumn, travel to the historic Silk Road settlement of Dunhuang on this special small-group six-day/five-night field trip (13 to 18 October 2015). Join this experience organized by the Oriental Ceramics Society of Hong Kong in cooperation with the Dunhuang Foundation. Enjoy exclusive access to important sites and temple-caves not typically open to the public, and attend casual but highly educational daily briefings from experts. 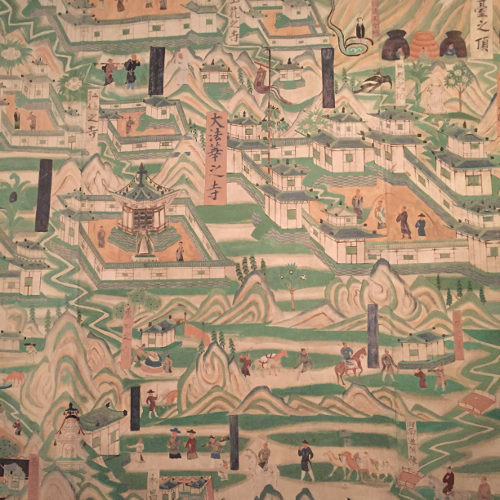 Understand the relevance and insights of Dunhuang past and present – from its enduring influence on aesthetics, to the town’s strategic location through the ages, to the ongoing research into ancient manuscripts found in the library cave. Explore ancient holy shrines amid the desert sand dunes, carved by devotees from rock in the Wei, Tang, Song and Qing Dynasties. Follow in the footsteps of pilgrims, scholars and adventurers drawn for mellennia to Dunhuang, one of humanity’s greatest religious and artistic achievements.